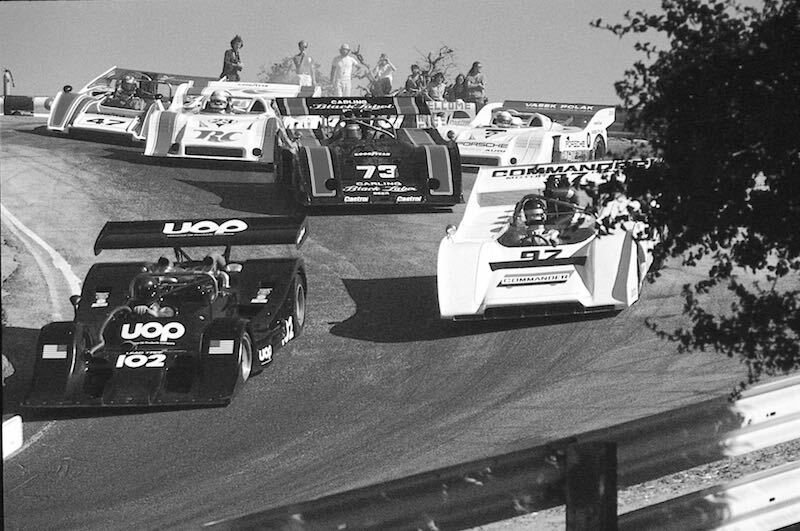 Ground-pounding racers from the famed Can-Am series will be featured at the 2016 Monterey Motorsports Reunion, to be held August 18-21 at Mazda Raceway Laguna Seca in Salinas, California during Monterey Classic Car Week. Known for its “excess is barely adequate” reputation, the Can-Am series was known for its free-wheeling rule interpretations that brought experiments such as big wings, two engines, ground effects, perfecting turbocharging and liberal use of exotic materials. The only hardened rule was the cars were to be “sports cars,” meaning they had to have room for a passenger. The thundering Can-Am series attracted the world’s finest drivers. Such dignitaries as Mark Donohue, Dan Gurney, George Follmer, Vic Elford, AJ Foyt, Graham Hill, Phil Hill, Denny Hulme, Peter Revson, Bruce McLaren, Mario Andretti, Bob Bondurant, David Hobbs, and Jackie Stewart who all competed in the series. The list of drivers could go on and on. Officially the Canadian-American Challenge Cup, this August’s field of Lolas, Shadows, McLarens, Porsches and others will take two separate grids of historic cars that competed in the series. The first group is comprised of USRRC and Can-Am cars that raced between 1963 and 1968, while the big bore Can-Am group features racers from 1968 through 1974. The Golden Anniversary of these over-the-top racers will be a feature race, with both groups on track Thursday, Friday and Saturday of the Rolex Monterey Motorsports Reunion. And a special highlight will be a seminar and lively Q&A on Can-Am that will be presented by Victory Lane magazine. For more information, visit MazdaRaceway.com.